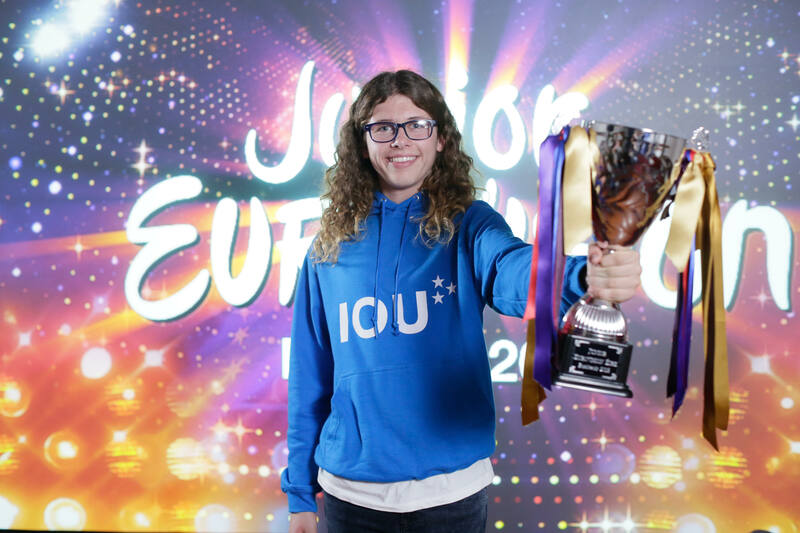 Ahead of this month’s Junior Eurovision Song Contest, Eurovoix.com speaks to Taylor Hynes from Ireland, who will sing “IOU”. Taylor Hynes is representing Ireland at the Junior Eurovision Song Contest 2018. What does that sentence mean to you? It all just feels so surreal. This is something I’ve wanted for three years and I’ve been working towards and I’m so excited that I get to go and represent Ireland at Junior Eurovision. I love performing on stage. Once I get up there I always have so much fun and I just can’t wait to perform on such a big stage in Minsk. You’re the first boy and the first wildcard to win Junior Eurovision Éire. How does this make you feel? It’s amazing I can’t believe I’ve been part of making history for Junior Eurovision Éire. I’d love to see more boys then entering Junior Eurovision Éire next year since I won. You took part in Junior Eurovision Éire in 2016 as well. How did your experience then compare to this year? I took part in 2016 and it was the first ever big competition I did which was amazing. I didn’t make it through my round but I loved every second and knew I wanted to enter again. A lot of people may not know that I tried to enter in 2017 too but I didn’t get through to the shows. I got such bad laryngitis and could barely talk never mind sing and I was devastated to not get through. I think it shows how much this competition means to me. It’s something I’ve wanted so badly for so long. Then when I came back in 2018, I was older and with more experience. I put everything I had into the competition and can’t believe it all payed off and I get to go and represent Ireland in Minsk. It just is so true that you should never give up on your dreams. A lot of former adult and Junior Eurovision entrants appeared on Junior Eurovision Éire this year. Did you get to speak to any of them? Yes, I’ve been so lucky to get to know the three girls who represented Ireland at Junior Eurovision and they gave me so great advice to enjoy every second of it because it will be over before I know it. I met Muireann and Zena at the TG4 show and Aimee messaged me. It’s been so amazing to have their support. Niamh Kavanagh and Ryan O’Shaughnessy gave me some great advice about being on stage too. They feature in my music video and it was great to meet them and get such great advice from people who were in the adult Eurovision too. Everyone has just been so supportive! Your song is called “IOU”. What’s the most you’ve ever owed anyone? My song is more about that I owe so much of my happiness to my friends and family for all the love and support they’ve given me. I’m so SO lucky to be surrounded by such amazing people and I’m so grateful. When it comes to money, I don’t think I’ve ever really owed anyone money… maybe asked my parents to ‘borrow’ money when I was younger for sweets and that but they never got it back! If you had to pick one singer to perform with, who would it be and why? That’s so hard.. I don’t even know if I could pick someone from the Junior Eurovision because all of them are so amazing. Let’s see maybe for adult Irish Eurovision entries.. maybe Jedward I think we would have the best time on stage and it would just be the most fun ever! Then my favourite singer is probably Sam Smith, I’d love to duet with him but think I’d also be totally star struck if I met him! What are you looking forward to most in Minsk? Everything I just can’t wait to get over there. I think I’m most excited to meet all the other entrants and make lots of new friends. The other thing I’m excited to do is to try lots of new food. I’m a real food person. My friends have a saying: ‘Bin it the tay tay way’ I finish any leftover food when I’m with people. I’d love to go to an all you can eat buffet and try lots of Belarusian food.